One of the great things about Lucca is the ability to use it as a base to explore the region with so many amazing things to see close by. 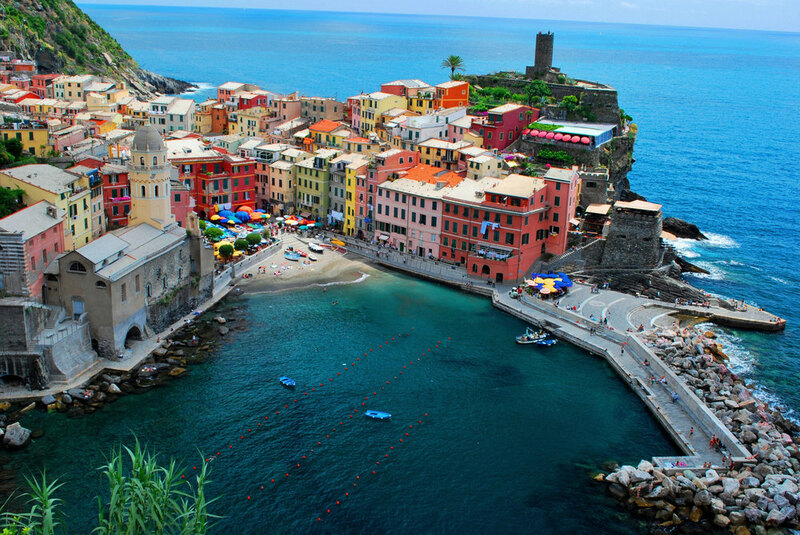 One place, just 80 mins drive from Lucca (or a short train ride via Viareggio) is the Cinque Terre. It's the rugged part of the Italian Rivierra. "The Five Lands" comprises five villages: Monterosso al Mare, Vernazza, Corniglia, Manarola and Riomaggiore all overlooking the sea set into the hills making it hard to access via cars. Monterosso al Mare is the largest and most accessible of the 5 towns. It's amazing that just a short car journey away transports you to a different region (Linguria) that provides a very different atmosphere. The culinary 'must-dos' of the region is sampling the foccaccia, pesto alla Genovese and on every menu will be the freshest gnocchi. Wash such delights down with a glass of Sciacchetra, the local sweet white passito wine. We stayed on the beach in Monterosso and enjoyed the relaxed beach vibe. We took a boat trip to visit the 4 other villages (it's the best way to see the rugged coastline and multi-coloured hill side houses). Given it was the end of September, the weather was still glorious, perfect for sunbathing. The sea was crystal clear and still warm. The Cinque Terre provides those in Lucca with a lovely little day or weekend retreat.